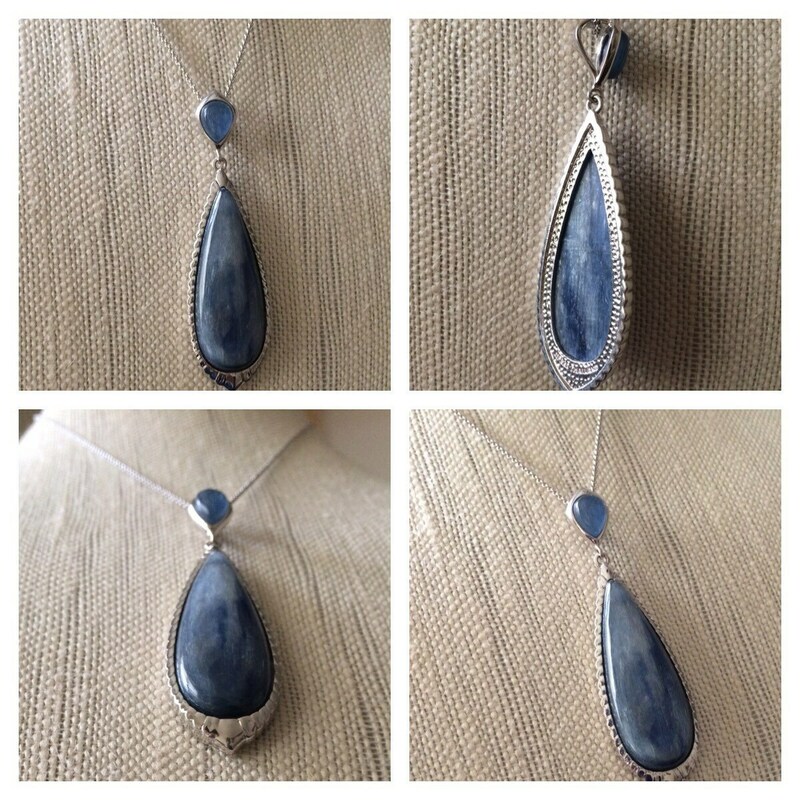 BOLD Statement Sterling Silver Kyanite Double Drop Pendant w/ 18 Chain. 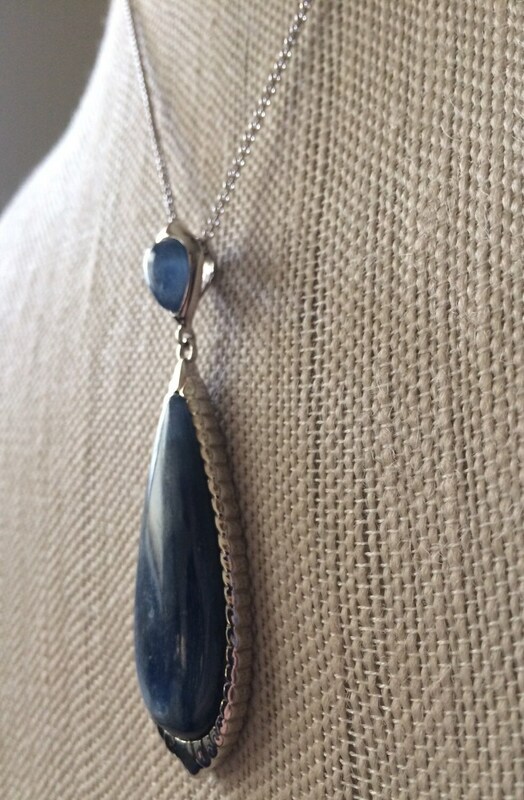 BOLD Statement Sterling Silver Kyanite Double Drop Pendant w/ 18" Chain. 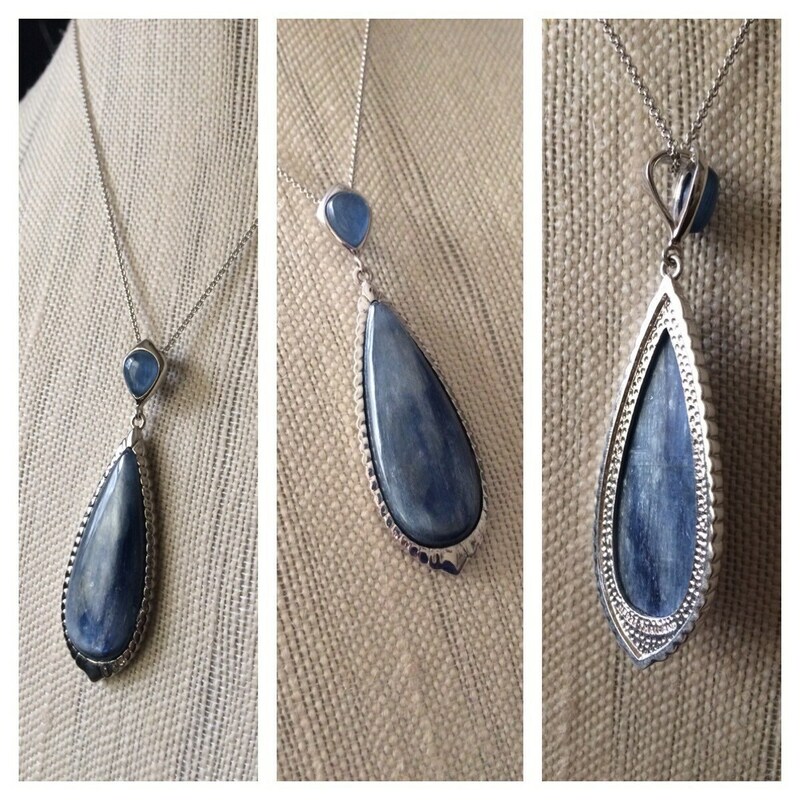 This blue kyanite boasts beautiful textures that are reminiscent of a twilight sky. 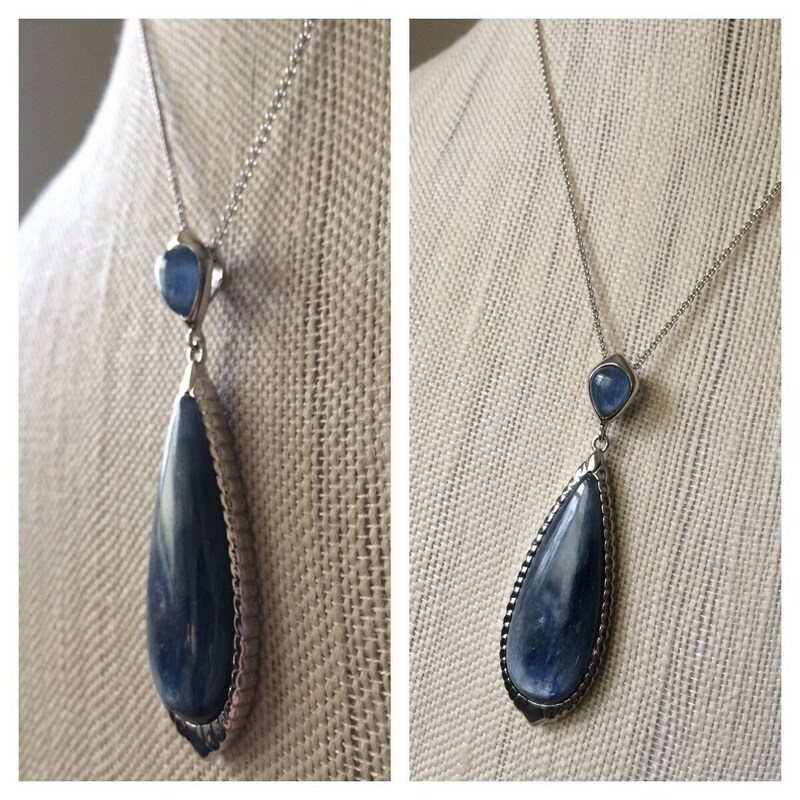 This pendant boasts a double-drop design of two pear-shaped kyanite cabochons. 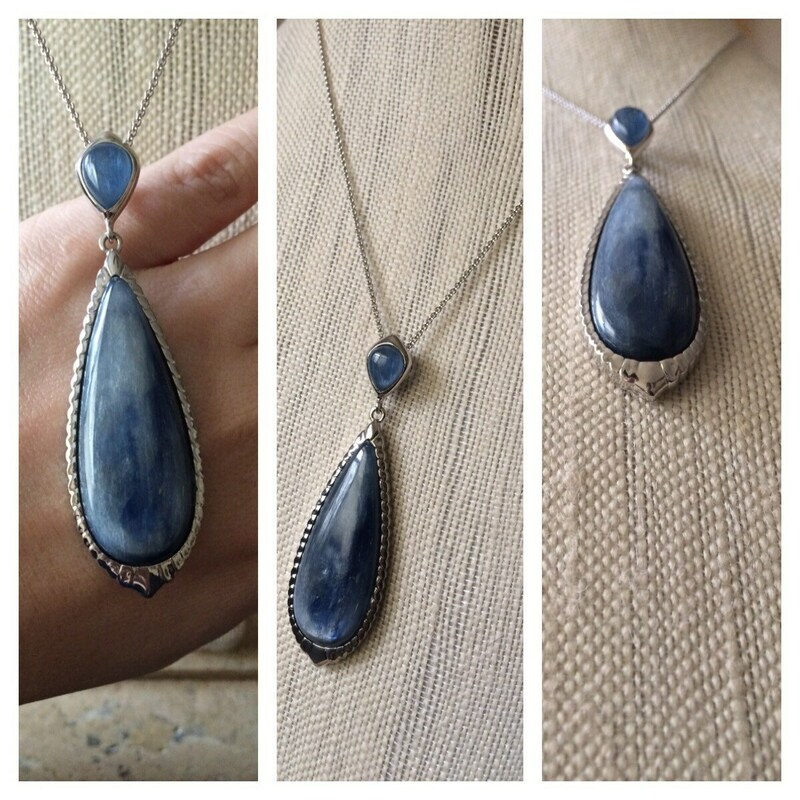 The larger pear-shaped cabochon is framed by ribbed textures and a polished finish. 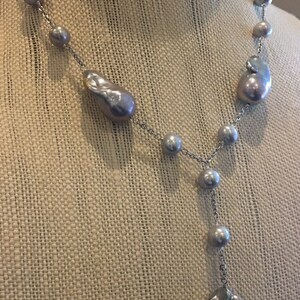 The unique color and dimension is sure to flatter! 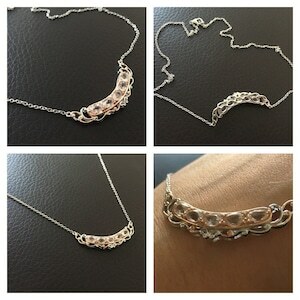 Clasp: Lobster. 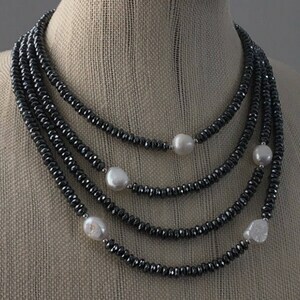 A big statement for a special occasion ! Thank you. No returns. 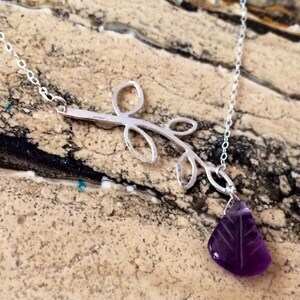 Sterling silver Falling leaves Amethyst Drop necklace.